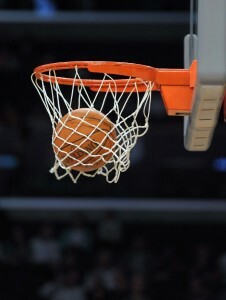 Royal Oak, MI—Whether participating in recreational outdoor games, playing on a school team or competing professionally, basketball is one of America’s most popular sport pastimes. With more than 28 million people of all ages taking part each year in this high-impact, extremely charged sport, the potential risk for injury is great. The American Academy of Orthopaedic Surgeons (AAOS) urges players to heed appropriate safety precautions and condition properly to minimize potential musculoskeletal injuries. According to the U.S. Consumer Product Safety Commission, in 2011 more than 1.4 million people were treated in doctors’ offices, clinics and emergency rooms for basketball-related injuries. Among the most frequent are wrist or finger sprains and fractures, and twisting and impact injuries to the foot, ankle and knee. •	Wear appropriate equipment. Shoes should fit snugly and offer support. Ankle braces can reduce the incidence of ankle sprains in patients with a history of injury (this should be discussed with your doctor); protective knee and elbow pads can protect players from bruises and abrasions. Consider wearing a mouth guard. Do not wear jewelry or chew gum while playing. Other helpful equipment may include eye protection, ankle braces or sports tape. •	Ensure a safe play environment. Outdoor courts should be free of rocks, holes and other hazards. Players should avoid playing on outdoor courts that do not have appropriate lighting. Indoor courts should be clean, free of debris and have good traction. 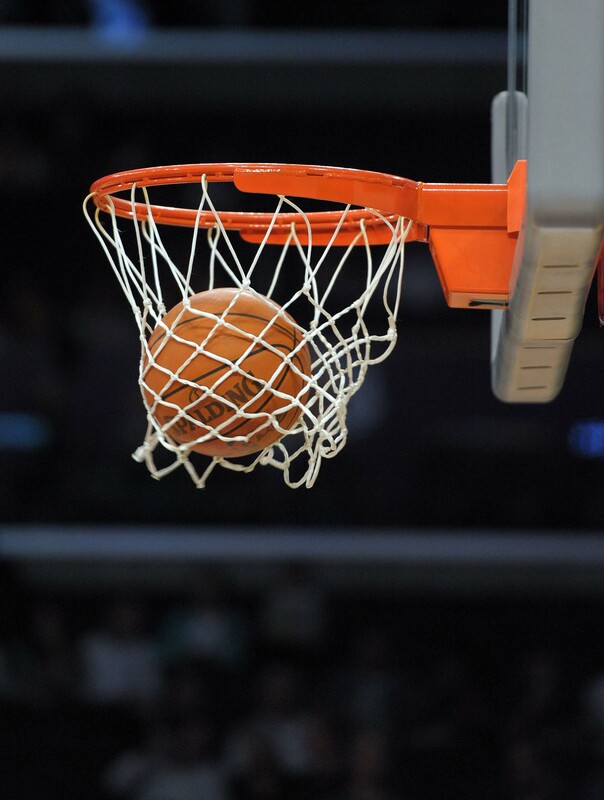 Baskets and boundary lines should not be too close to walls, bleachers, fountains or other structures. Basket goal posts, and the walls behind them, should be padded. •	Maintain fitness throughout the year. Ideally, players should maintain an exercise and training regimen during the basketball season, and throughout the year. •	Warm up before play. Consistent warm up and stretching exercises may reduce injuries. Warm up with jumping jacks, stationary cycling, or running or walking in place for three to five minutes. This should be followed by slow and gentle stretching, holding each stretch for 20-30 seconds. Stretches should focus on the legs, spine, and shoulders. A player should also stretch after their practices or games. •	Safe Return to Play. An injured player’s symptoms must be completely gone before returning to play. The player must have no pain, no swelling, full range of motion, and normal strength and should be cleared by the appropriate medical provider. •	Stay hydrated. Even mild levels of dehydration can hurt athletic performance. Ideally, players should drink 24-ounces of non-caffeinated fluid two hours before exercise, and additional 8-ounces of fluid or sports drink immediately before play. While playing, break for an 8-ounce cup of water every 20 minutes. •	Use proper passing and play techniques. Practice good technique. For example, when you jump for the ball, land on a bent knee rather than a straight knee. Play only your position and know where other players are on the court to reduce the chance of collisions. Do not hold, block, push, charge, or trip opponents. Use proper techniques for passing and scoring, and most importantly, don’t forget sportsmanship! Performance Orthopedics – Keeping you in the game, whatever your game may be!